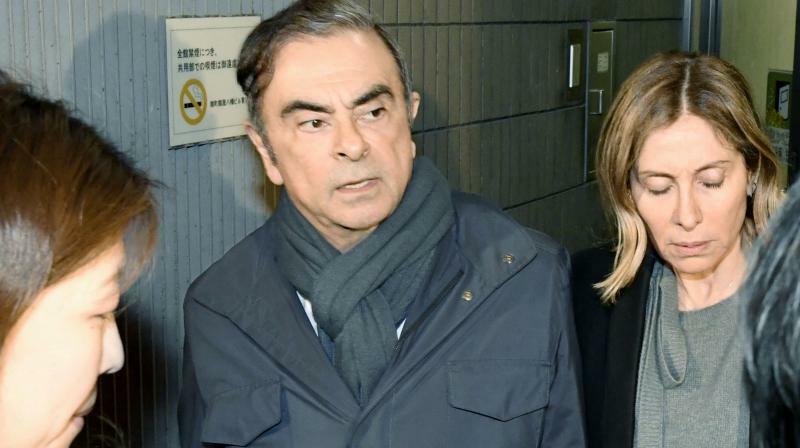 Tokyo: The wife of Nissan's former Chairman Carlos Ghosn will be questioned by prosecutors in a Tokyo court Thursday, after her husband was taken into custody on financial misconduct allegations. Carlos Ghosn was arrested in November and charged with falsifying financial documents and breach of trust while leading the Japanese automaker. The charges allege he under-reported his retirement income and had Nissan shoulder dubious payments and investment losses. He says he is innocent. He was released on bail last month but rearrested last week. Prosecutors say the allegations that were the basis of his recent arrest are distinct from the others, while giving not details. The detention was approved through Sunday but can be extended. Earlier this year, Carole Ghosn wrote to Human Rights Watch, criticizing Japan's criminal justice system as unfair and harsh.